"Zacharel and Thane hovered over the Deity's temple, watching as hundreds of winged demon minions raced through the night-darkening sky, slowing only when they reached the rivers winding around the structure. Those rivers flowed to the edges of the cloud cascading over the sides in breathtaking, star-framed waterfalls." Yes, I'm finally reading a G. Showalter book. 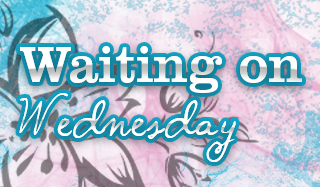 Thank you BeachBumReads for lending it to me! yaaay!!!! ^_^ Hehe. 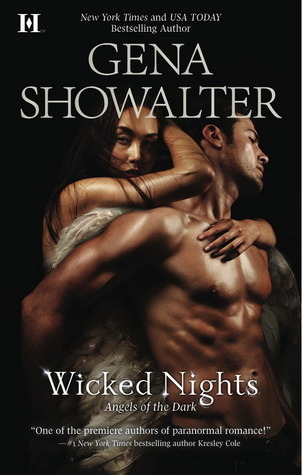 Wicked Nights was my first GShowalter read as well ^_^ I'm not a big fan of Zacharel, but Thane... hawt damn. haha. You're welcome! hahah. you can find yourself another angel! Thane... damn.. hahaha. I'd totally bend over and whistle if he walked by hahahahaha. or flew by ;) lmbo. I need to get back to my G. Showalters books :) awesome choice Melissa! I haven't read any of her books! Sorry I've been away, babe, I think I got myself a mountain man from Houston! Woot!